Macon Community News invites local schools to submit updates to better inform the residents of Macon and Middle Georgia about the good things happening in education. These updates are from St. Joseph’s Catholic School. The “house” system has its roots in the British school system where boarding students are divided into mixed-age groups in order to help meet their basic physical, emotional, and social needs and to create a sense of a “family” as they compete against the other houses in sporting and charity events. 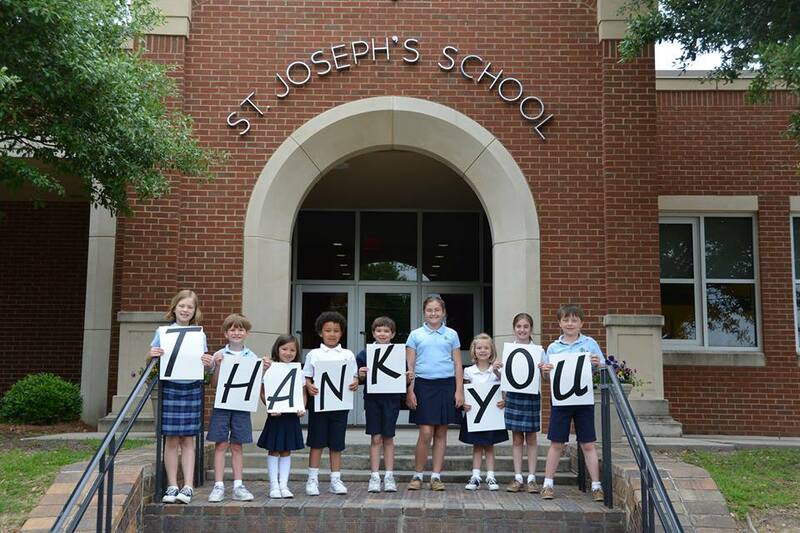 The house system at St. Joseph’s Catholic School is for students in 4th, 5th, and 6th grades. Students are divided into six houses during the Hat Sorting Ceremony at the beginning of the school year, and remain in the same house until they graduate from SJS. Each house is named after a saint and has a motto, mascot, color, and cheer. Teacher mentors oversee the houses, and house captains (student leaders who have applied and been selected for the position) help plan and lead the house meetings that occur once a month. House members work together every month to earn points for their house by participating in church events, being involved in extracurricular activities, competing in school-wide contests, displaying positive behavior, engaging in service activities, and getting involved in additional activities that might be going on in the school, church, or community that month. The house that earns the most points each month wins a dress down day and a special lunch together, which includes an ice cream sundae bar. The house that earns the most points for the entire year is treated to a fun field trip at the end of the school year. All the houses get together for a house-wide event four times throughout the school year. These house-wide events encourage cooperation and team-building. The biggest house-wide event occurs in the spring: the House Cup Tournament. The tournament involves a series of relay races. The victor wins the House Cup, and the house that shows the most teamwork, positive spirit, and good sportsmanship during the races wins the Saints Award. Both of these awards are always on display in the trophy case in the front lobby of the school. If your school or organization would like to publish an update, announcement or bulletin, please use our submission page. The submission should be ready for publication, but may be edited by us for style or formatting. We may be in touch after your submission for verification, to request photos or get more information.